San Diego Child Custody Attorney: What determines custody, visitation? San Diego Divorce and Family Law Attorney, Paul Staley, released a new YouTube video: San Diego Child Custody Attorney: What determines custody and visitation? What actually determines custodial rights and visitation is one of the most frequently asked questions concerning divorce. Rather than being blindsided by new information, find out how you can prepare yourself in this quick guide! What takes place before a custody hearing in a California family court is extremely important to both parties involved. Of course, coming to a mutually beneficial agreement that suits everyone well would be ideal in lieu of a legal custody dispute. No one wants to be engaged in a custody battle. But for parents who can’t reach a decision on their own, they’re required by state law to see a court-appointed mediator when they go to family court. A mediator works to help both parties reach that mutually agreed upon solution . 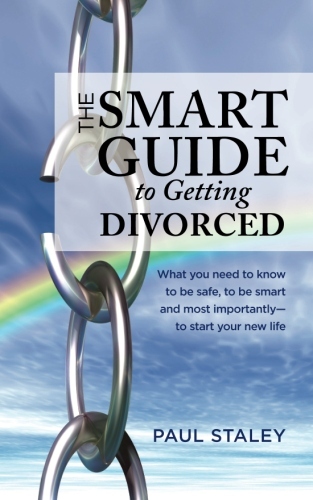 However, given the hardships and complications that come with divorce, these agreements don’t always come to be. If two parents can’t reach a custodial agreement after mediation, it then moves forward to the next phase in a custody dispute the courts. Even after mediation, recommendations from those sessions definitely factor into the judge’s final decision. The most important thing to do right is be ready for mediation. Your court-appointed mediator not only shares information from these sessions, but will offer their professional opinion to the judge as well. When custody is awarded in these cases, those same mediation sessions can also factor into how a judge decides visitation too. Since California family law courts take mediation seriously, you have to make an effort to take it even more seriously. Prior to your session, read up extensively on statewide legal views on custody disputes and where your case lies on the spectrum. Many cases agree to legal joint custody, but that doesn’t always mean equal physical time; that’s something to think about if you were worried about your intense work schedule affecting your joint custodial rights. It’s best to work out legal concerns and possible solutions during mediation. Since the purpose of a mediation is to come to an amicable agreement, it’s important to listen to both your former partner and the objective third party (your mediator). Work toward a more civil and productive mediation for a better custodial arrangement for yourself and your child. Hi, this is Paul Staley, San Diego family lawyer. I’d like to talk to you about custody and visitation in family courts in San Diego. Now, you’ve already heard maybe a little bit about our discussion regarding mediation, but you may be confused with the terminology used by the judges and the mediators regarding custody. What’s legal custody? What’s physical custody? What’s joint custody? What’s joint legal custody? Anyway, we’re going to spell those things out for you. Now, what goes into the judgemaking decision about who’s going to have –what we would call primary physical custody? And, we’d start with what’s the status quo being the most important factor. What’s been going on? How long have the parents been separated? Is there a pattern that’s already established that the child is accustomed to? Is there a pattern we don’t want to disrupt? So does the first thing that the court is going to be looking at. The court is going to assume, unless proven otherwise, that each of you is a competent and caring parent. And unless that’s not true, it’s not really a good idea to start the mud slinging. If you really want World War III, and the other party has it coming, go to it. But, if this is simply a situation where you and the other parent, whether it’s a wife, girlfriend, boyfriend are on the outs, but you are still good parents, then you’re probably gonna best served by finding a way to work through your disagreements. Previous post: Common Law Marriage in California? Next post: If I have custody will I receive child support?